For the first time ever, Vivid Sydney 2016 is lighting up Taronga Zoo, with a trail of spectacular installations including giant, luminous animal sculptures. Minister for Trade, Tourism and Major Events Stuart Ayres said Sydney’s world famous Zoo is turning 100 and Vivid Sydney is joining the celebrations, bringing its wondrous light, creativity and innovation to the iconic attraction for a special after-hours event. “Visitors to Vivid Sydney at Taronga Zoo will be welcomed by a grand projection onto the façade of the heritage-listed main entrance building, which leads into a journey filled with thousands of lanterns including 10 magnificent, larger-than-life animal sculptures, illuminated to shine a light on the 10 critical species Taronga has committed to protecting,” Mr Ayres said. Minister for the Environment Mark Speakman said NSW school students would play an important role in bringing the festival to life at Taronga Zoo. “As part of the centenary celebrations, NSW primary school students participating in Taronga’s education program are invited to construct their own mini-lanterns of the 10 critical species which will feature at Vivid Sydney,” Mr Speakman said. Vivid Sydney is the world’s largest festival of light, music and ideas and is owned, managed and produced by the NSW Government’s tourism and major events agency, Destination NSW. It attracted a record-breaking 1.7 million attendees in 2015. Vivid Sydney runs from Friday, 27 May to Monday, 13 June 2016. An illuminated trail of amazing and endangered species will light up Vivid Sydney’s wildest precinct as part of Taronga Zoo’s Centenary celebrations. 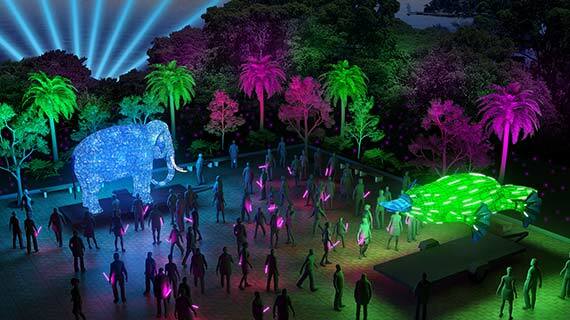 Vivid Sydney at Taronga Zoo will include ten giant animal multimedia light sculptures, representing ten critical species from Australia and Sumatra that Taronga is committed to protecting. Captivating creatures ranging from the magnificent Asian Elephant to the vividly coloured Corroboree Frog will sparkle at night to inspire visitors to support Taronga’s efforts to create a shared future for wildlife and people. With interactive lighting, sound effects and even moving parts, these giant light sculptures by Ample Projects will be among the largest and most technologically advanced lanterns ever to feature in Vivid Sydney. Taronga’s 10 Legacy Species light sculptures will be augmented by a supporting cast of echidnas, cicadas, chameleons and even funnel-web spiders, along with thousands of smaller lanterns made by NSW school students as part of the Zoo’s Centenary celebrations. Food and beverage outlets will be open throughout the Zoo, as will Taronga’s retail outlets to purchase keepsakes and other wildlife memorabilia. Taronga is a non-profit organisation and every ticket and purchase helps support the Zoo’s wildlife conservation efforts. Vivid Sydney at Taronga Zoo is part of an exciting Centenary Program, which will celebrate Taronga’s first 100 years and launch a legacy for the future of wildlife conservation. Businesses can now seek support from the Australian Government for projects to keep greenhousegas producing organic waste out of landfill. A method to benefit organisations that deal with food or garden waste is now available under the Government's Emissions Reduction Fund (ERF). The Emissions Reduction Fund provides positive incentives for Australian businesses to adopt smarter practices that go beyond their business as usual to cut the amount of greenhouse gases they create. Participants can earn carbon credits by setting up a project under an approved method, which sets out the rules for the activity including how the abatement is to be measured. The Source Separated Organic Waste method will help to reduce the more than 6.6 million tonnes of organic waste, including food and garden waste, which goes to landfill each year. Entities such as local councils, retailers, charities, hospitality businesses, manufacturers, waste processors and composting facilities will be able to take advantage of this new method. It covers new projects that separate organic material from other waste types and divert it away from landfill to eligible alternative treatments such as composting. In landfill, organic waste breaks down to release methane, a potent greenhouse gas which contributes considerably to climate change. The Source Separate Organic Waste method joins a growing suite of opportunities for eligible participants right across the economy in the next Emissions Reduction Fund auction in April 2016. Other recent innovative methods announced provide for projects in beef cattle, refrigeration and high efficiency commercial appliances to register under the fund. This new method will build on the success of the ERF in helping to meet and beat Australia's 2020 target and in working towards our 2030 target to cut emissions by 26 to 28 per cent. Under the ERF to date, 275 projects have been contracted by the Clean Energy Regulator through the two auctions in 2015, resulting in 92.8 million tonnes of abatement, including 51.3 million tonnes from vegetation projects, 20.4 million tonnes in the waste sector, 8.3 million tonnes from agriculture and 7.1 million tonnes in savanna burning projects. There is no 'throwing money at big polluters'. All projects must be beyond business as usual. Another obligation of all projects under the scheme is to deliver the agreed emissions reductions on time. Payment is on delivery only. The current list of methods is available on the ComLaw website . The NSW Government has signed four conservation agreements with a North West Slopes landholder to protect critically endangered and vulnerable bird species habitats. Environment Minister Mark Speakman said 1,892 hectares of threatened Box Gum Woodland was now permanently protected under the agreements to provide secure sites for the critically endangered Regent Honeyeater and vulnerable Diamond Firetails and Little Lorikeets to nest and breed. These conservation agreements cover three properties in the Bundarra-Barraba area near Tamworth, which is one of only two known Regent Honeyeater breeding regions in NSW, and one property near Coonabarabran. “Conservation agreements like these protect the biodiversity values of properties in perpetuity, which means the agreement and management guidelines remain in place if the landowner sells the property,” Mr Speakman said. Parts of these properties will remain farmland while the areas covered by an agreement will be managed for conservation, to strike a balance between environmental protection and economic potential. In this case, three of new conservation areas fall within the NSW Government’s Saving our Species (SoS) Regent Honeyeater conservation project area. Management actions for this SoS management site, which also happens to be within an internationally recognised Important Bird and Biodiversity Area, include preventing key habitat loss. “It’s fantastic to have such a large area of threatened species habitat on private land under a conservation agreement,” Mr Speakman said. People interested in protecting threatened species habitat on their private property by entering into a conservation agreement can contact the Office of Environment and Heritage atconservation.partners@environment.nsw.gov.au or the NSW Nature Conservation Trust at www.nct.org.au. The Ministerial Forum on Vehicle Emissions, established by the Turnbull Government to review Australia’s regulatory framework for vehicle emissions, has today issued a discussion paper which sets out the issues under examination and calls for comment. Minister for Major Projects Paul Fletcher, chair of the Ministerial Forum, said the discussion paper outlines the benefits of reducing emissions, including lower fuel bills, better air quality and improved health outcomes for Australians. “The issues are complex and interrelated. That is why we have established this Ministerial Forum, to bring together the perspectives of the transport and infrastructure, energy and environment portfolios,” Mr Fletcher said. Minister for the Environment, Greg Hunt, said that the Australian Government was considering potential options to reduce both noxious emissions and carbon dioxide emissions from vehicles. “Around 17 per cent Australia’s greenhouse gas emissions are from transport. In cities such as Sydney on-road motor-vehicles can contribute around 60 per cent of some noxious air pollutants. The paper examines options for improving standards for air pollutants and fuel efficiency (CO2) standards, ways to better educate and inform consumers, alternative fuels and electric vehicles, the use of incentives and bolstering emissions testing arrangements,” Mr Hunt said. The discussion paper also takes stock of action on vehicle emissions in Australia to date and discusses ways to harmonise with international standards in this area. Minister for Resources, Energy and Northern Australia, Josh Frydenberg, emphasised the significance of better vehicle fuel efficiency in achieving Australia’s national energy productivity target. “The release of this discussion paper recognises the importance of reducing vehicle emissions in reaching the Government’s target of increasing energy productivity by 40 per cent by 2030,” Minister Frydenberg said. The discussion paper also looks at measures the Government can take to better inform consumers on the fuel efficiency and environmental performance of new vehicles sold in Australia. The Ministerial Forum is supported by an interdepartmental working group to coordinate a whole-of-Australian-Government approach. The Forum held an initial stakeholder consultation meeting in December 2015, and feedback from that meeting has been reflected in the discussion paper. The interdepartmental working group will report to the Ministerial Forum in June 2016 on ways to address vehicle emissions. The Department of Planning and Environment welcomes AGL’s guilty plea in response to an investigation into the company’s political donation disclosures. Today the company pleaded guilty in the Land and Environment Court for failure to disclose a number of reportable political donations across 11 planning applications made to the Department. A spokesperson from the Department says allegations of reportable political donation disclosure breaches are taken seriously. 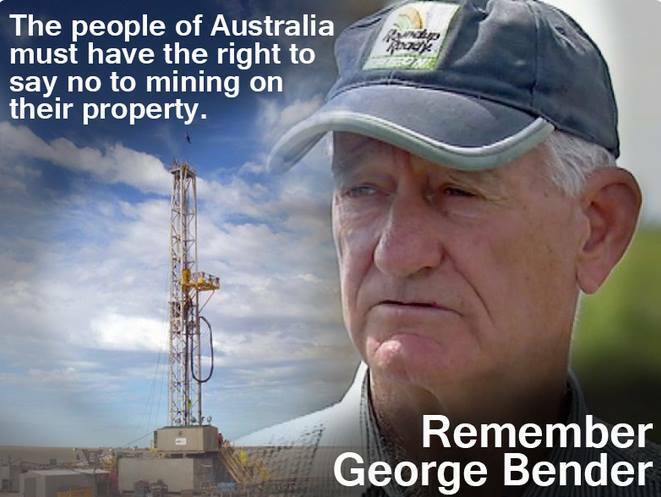 “The Department’s legal proceedings against AGL conclude a thorough investigation process,” the spokesperson said. “Political donation disclosures are important to ensure transparency. AGL is subject to a maximum penalty of $22,000 for each of these breaches. Due to legislative changes made by the NSW Government in October 2014, the maximum penalty for this offence has been increased to $44,000. AGL’s political donation disclosure breaches occurred prior to these amendments. A proponent is responsible for disclosing all reportable political donations when making certain planning applications under Section 147 of the Environmental Planning and Assessment Act 1979. European bison imported from Poland now roam Denmark's Baltic island of Bornholm in places where the animals haven't lived for thousands of years. Meanwhile, in a far corner of Siberia, scientists are attempting to reconstruct an ecosystem that was lost many thousands of years ago along with the woolly mammoth by introducing bison, musk oxen, moose, horses, and reindeer to a place they call Pleistocene Park. These efforts to "rewild" the landscape have become increasingly popular in some corners, but researchers writing in the Cell Press journal Current Biology on February 8 say that scientific evidence supporting the potential benefits of this form of restoration is limited at best. As history has shown, the introduction of species into new places is often met with unexpected, negative consequences for the environment. "Implementation of rewilding in the field is already occurring," says David Nogués-Bravo of the Center for Macroecology, Evolution, and Climate at the University of Copenhagen. "However, scientifically we are in the dark about the consequences of rewilding, and we worry about the general lack of critical thinking surrounding these often very expensive attempts at conservation. Practitioners mustn't assume that scientists are able to predict the full consequences of introducing novel species to dynamic and ever-evolving ecosystems." Nogués-Bravo and his colleagues say that before implementing rewilding in the field as a major conservation approach, more basic research is needed about the consequences of modifying ecosystems. They argue that, for now at least, conservation efforts should focus instead on protecting biodiversity and on reducing major threats to the environment, such as deforestation, climate change, and invasive species. "We don't know what the consequences of rewilding may be, and rewilding may also bring de-wilding in the form of local and global extinctions," says Carsten Rahbek, also a co-author. He and Nogués-Bravo note the potential also that rewilding might draw down already limited funds available for less splashy, but more scientifically supported, conservation projects. Daniel Simberloff, a co-author from the University of Tennessee, says that the reintroduction of wolves to Yellowstone National Park is often highlighted as a success story through its cascading effects on the landscape. But the influence of such reintroductions can be highly variable and hard to predict. "Only in some cases do you find evidence of strong cascading effects of large mammals, while other examples show only weak effects or even unexpected, but dramatic, negative consequences," Simberloff says. "Therefore, we advocate caution and careful consideration both for the animals that are rewilded and the ecosystems they are placed into." While hard work, vigilance, and creativity on the part of scientists, conservation practitioners, and policy makers are required to face the world's sixth mass extinction event, the researchers write, "our hope is that the hard work is grounded in detailed ecological theory and offers clear conservation benefits to all of biodiversity and not just the opportunity to see large, wild beasts roaming the landscape." The researchers say that they are now exploring the feasibility, adequacy, and risks of rewilding by studying fossil remains and their DNA in museums around the world. Their goal is to understand changes in ecosystems that occurred in past "natural experiments" that resemble rewilding. While the researchers stress, however, that potential links between this period of cool temperatures and socio-political changes always need to be treated with great caution, they write that "the LALIA fits in well with the main transformative events that occurred in Eurasia during that time." The above is reprinted from materials provided by Swiss Federal Institute for Forest, Snow and Landscape Research WSL. An international team of scientists have discovered two new plankton-eating fossil fish species of the genus called Rhinconichthys (Rink-O-nik-thees) from the oceans of the Cretaceous Period, about 92 million years ago, when dinosaurs roamed the planet. "Based on our new study, we now have three different species of Rhinconichthys from three separate regions of the globe, each represented by a single skull," Shimada noted. "This tells just how little we still know about the biodiversity of organisms through Earth's history. It's really mindboggling." The Senate Environment and Communications References Committee is holding a public hearing in Sydney on Thursday, 18 February 2016 at The Portside Centre – 207 Kent St, Sydney. Surfrider is invited to appear before the Committee at this hearing to support legislation via a private members bill introduced by the Greens, to ban the use of microbeads in personal care and laundry products. We will call on ALL members of parliament to endorse this bill so Australia can remove this significant source of plastic debris from our waterways. Plastic pollution of our waterways and oceans is a major environmental and human health issue requiring urgent attention. Please share and ask your friends to support us and sign our petition. For more information on the banning of microbeads, please click here. The NSW Environmental Trust is calling on peak environmental groups to apply for a grant to support them in working with communities to conserve the environment as the Lead Environmental Community Groups (LECG) Grants Program opens for applications. The Secretary of the Environmental Trust Terry Bailey said a total of $1.8 million in funding is available under the 2016 LECG Grants Program. “This program is offering grants to support new or existing education or capacity building activities that develop the community’s knowledge and participation in protecting the environment and undertaking sustainable behaviour,” Mr Bailey said. “The grants will deliver long-term funding to eligible groups over a three year period - 2016, 2017 and 2018 - reducing the need for applicants to apply each year. “This Government investment aims to utilise the community reach of peak environmental organisations to develop and widen community environmental skills and knowledge and help them deliver activities that work to improve our environment. • Stream 2 for smaller groups seeking less than $20,000 each year (max $60,000 in total over 3 years). Organisations that are eligible to apply must be a non-government, not-for-profit organisation, with a full-time presence in NSW, and have the protection and enhancement of the environment as one of their primary objectives. These organisations are usually either the peak community representative of a specific field of environmental activity across NSW or an umbrella organisation providing the full spectrum of activities expected of a peak environment organisation within NSW. Cockatoo Island’s National and Commonwealth heritage values are protected by the Cockatoo Island Management Plan, which was made in 2010 in accordance with the Environment Protection and Biodiversity Conservation Act 1999 (EPBC Act). In accordance with Sections 324W and 341X of the EPBC Act, the Harbour Trust is undertaking a periodic Review of the Cockatoo Island Management Plan. The public is invited to provide comments which will be considered as part of the Review. The effectiveness of the Cockatoo Island Management Plan in protecting and conserving the National and Commonwealth Heritage values of the place. It is noted that following the current Management Plan’s gazettal in 2010, Cockatoo Island was subsequently inscribed as a World Heritage place, and this will be addressed in the Review. Cockatoo Island Visitor Centre, Building 164, Cockatoo Island, Sydney Harbour. Electronic copies of the Cockatoo Island Management Plan areavailable here. Persons with special needs (i.e. for whom English is a second language or who have vision impairment) may contact (02) 8969 2100 for assistance with accessing the documentation. Green roofs, green walls and pop-up parks – and tools to help cities set urban greening targets – will be the focus of the new Clean Air and Urban Landscapes hub under the National Environmental Science Programme. Launched today at the Koori Heritage Trust in Melbourne, the hub will also conduct experiments in urban re-wilding and model carbon emissions from Australian cities under a range of different planning and transport scenarios. As part of its work, the hub will forge groundbreaking research partnerships with the Indigenous community aimed at incorporating Indigenous perspectives into urban design and planning. The hub is leading the way in establishing new pathways for scientists to work in partnership with Indigenous people to make cities better places to live. One of six hubs established under the National Environmental Science Programme, the Clean Air and Urban Landscapes hub will focus on collaborative, practical and applied research that informs on-ground action. The Australian Government has allocated $8.88 million to the hub over six years. The hub is addressing a significant gap in the way we go about planning our cities. There are currently very few approaches to incorporating Indigenous perspectives into urban design or planning. The hub is bringing together scientific, traditional and community values as they undertake research projects ranging from measuring air quality in western Sydney to urban habitats for threatened species. The hub's research agenda for 2016 includes many projects that will deliver tangible results for Australian cities – new approaches, better data, and better methods for dealing with environmental challenges in urban spaces. The Government's vision for productive, liveable and accessible cities will be underpinned by research and expertise from the Clean Air and Urban Landscapes hub. Policies must be informed by robust science – and that is what the National Environmental Science Programme is all about. Welcome to our official start to the 2016 Bushcare Season! The warmth and rain have provided perfect growing conditions for the hundreds of native tubestock planted out late last year throughout our reserves, and the young plants are off to a great start. Having said that, it was also great weather for weeds, and we would love your help again this year! Listed below are our Bushcare sessions for the weekend and throughout the week for everyone to help our beautiful bushland. Please join us and enjoy a morning (or afternoon) doing something wonderful for our local environment. Wear enclosed shoes, a hat, comfortable protective clothing, and bring along a bottle of water. Council will provide tools, training, and a legendary morning or afternoon tea! If you are planning to join a Bushcare group for the first time, or are currently a member of a group and wish to join a different Bushcare session, please call me on 0408 164 235 to ensure your supervisor knows to expect you! At the climate talks in Paris, all attention was focused on how humanity can reduce climate change by reducing carbon emissions, or by increasing carbon uptake. Forests are an important carbon sink. While most attention has focused on old-growth tropical forests, it turns out that secondary forests that re-grow after forest clearance or agricultural abandonment can sequester large amounts of carbon. Is this a forgotten sink? A large international team of forest ecologists including U of M ecologist Jennifer Powers and University of Minnesota graduate student Justin Becknell sought to answer that question by analyzing recovery of aboveground biomass using 1,500 forest plots and 45 sites across Latin America. The researchers found that carbon uptake in these new-growth tropical forests was surprisingly robust. Their findings will appear in the print edition of the journal Nature February 11, 2016. "Secondary forests are literally the forests of the future," says Powers. "Our study focuses much-needed attention on overlooked tropical secondary forests, which now comprise more than half of all tropical forests." Lourens Poorter, lead author of the study, notes that after 20 years, these forests have accumulated enough biomass to an uptake 3.05 ton carbon per ha per year -- 11 times the uptake rate of old-growth forests. Second-growth forests differ dramatically in their resilience; in 20 years between 20 and 225 tons of biomass has recovered. Biomass recovery is high in areas with high rainfall and water availability throughout the year, whereas soil fertility or the amount of forest cover in the surrounding landscape were less important. "We also used these data to produce a potential biomass recovery map for Latin America," says co-author Danaë Rozendaal. "Regional and national policy makers can use this information to identify areas that should be conserved, for instance because they have a slow recovery and are more difficult to restore, or to identify areas with fast recovery, where forest regrowth or reforestation has a high chance of success and a high carbon sequestration potential." "This study firmly establishes the potential role that tropical secondary forests play in the global carbon cycle, and underscores that policies aimed at mitigating climate change should both reduce deforestation and promote forest regrowth," Powers says. • Enjoy the wonders of nature, right outside your window. • Free and discounted plants for your garden. • A Habitat Stepping Stone plaque for your front fence. • Local wildlife news and tips. • Become part of the Pittwater Habitat Stepping Stones community. Just write to the address below and we’ll mail you everything you need. With unprecedented growth in the last decade, an expanding NSW nut industry is set to benefit from ongoing research generated by NSW Department of Primary Industries (DPI). Newly appointed DPI research scientist based at the Yanco Agricultural Institute (YAI), Jacquelyn Simpson, supports almond, chestnut, hazelnut, pecan, pistachio and walnut industries fresh from completion of a PhD in ecophysiology and ecosystems at the University of Sydney. Dr Simpson said the farm gate value of the Australian temperate nut industry reached $1.2 billion in the 2014-15 financial year due to global demand, strong local production and increasing market values for nuts and nut products. Industry expansion is expected to continue with Australian nuts highly valued in international markets due to the high quality of local production and relatively low pest and disease issues,” Dr Simpson said. In this statewide role I have met with producers across the country, on farm and at industry events, to build partnerships and discuss opportunities for collaboration and my Riverina base allows me to work closely with rapidly developing nut industries in the area. A planting of more than one million hazelnut trees by Agri Australis in Narrandera is an indication of the rapid growth and confidence in temperate nut farming in the Riverina. Walnut plantings are growing in the Riverina, pistachio production is increasing in the Murray Valley and pecans are set to expand in the state's north. Dr Simpson said the popular tree crop grown across Australia and enjoyed world-wide in meals, snacks and treats can be grown in many areas of the state. Growing high-yielding, profitable nut trees demands optimal climatic and agronomic conditions and identifying suitable regions for industry expansion is a major focus of my work at YAI,” she said. DPI has produced new guides to areas which offer potential for nut crop expansion using bioclimatology modelling, which studied the effects of climate on nut trees - clearly specific site analysis must be undertaken before making a final decision to establish any orchard. Results from the project, a co-investment by DPI, Horticulture Innovation Australia Limited using almond and chestnut levies, Australian Nut Industry Council and NSW Government, with Australian Government funds, could guide selection of areas for sentinel plantings to determine those regions most appropriate for expansion of local nut industries. This tiny device, the size of a small paperclip, is implanted in to a blood vessel next to the brain and can read electrical signals from the motor cortex, the brain's control centre. These signals can then be transmitted to an exoskeleton or wheelchair to give paraplegic patients greater mobility. Users will need to learn how to communicate with their machinery, but over time, it is thought it will become second nature, like driving or playing the piano. The first human trials are slated for 2017 in Melbourne, Australia. Credit: The University of Melbourne. The results published in Nature Biotechnology show the device is capable of recording high-quality signals emitted from the brain's motor cortex, without the need for open brain surgery. "We have been able to create the world's only minimally invasive device that is implanted into a blood vessel in the brain via a simple day procedure, avoiding the need for high risk open brain surgery. Co-principal investigator and biomedical engineer at the University of Melbourne, Dr Nicholas Opie, said the concept was similar to an implantable cardiac pacemaker -- electrical interaction with tissue using sensors inserted into a vein, but inside the brain. "Currently, exoskeletons are controlled by manual manipulation of a joystick to switch between the various elements of walking -- stand, start, stop, turn. The stentrode will be the first device that enables direct thought control of these devices"
"The brain-computer interface is a revolutionary device that holds the potential to overcome paralysis, by returning mobility and independence to patients affected by various conditions." Professor Terry O'Brien, Head of Medicine at Departments of Medicine and Neurology, The Royal Melbourne Hospital and University of Melbourne said the development of the stentrode has been the "holy grail" for research in bionics. "To be able to create a device that can record brainwave activity over long periods of time, without damaging the brain is an amazing development in modern medicine," Professor O'Brien said. The Federal Government remains committed to Medicare. However, 21st Century consumers now expect 21st Century technologies to manage their everyday payments and Government should be no exception. Between Medicare, Aged Care and the Pharmaceutical Benefits Scheme, the Commonwealth processes over $42 billion worth of payment transactions every year. Everyday Australians use cards to make ‘tap and go’ payments, and apps to make payments, and yet Medicare has not kept up with these new technologies. This is why the Department of Health is investigating ways to digitise its transaction technology for payments to a more consumer-friendly and faster format. At this stage no decisions have been made, and the work continues. Health Minister Jillian Skinner today endorsed a 12-point action plan to improve security at all NSW public hospitals following a roundtable of health stakeholders and union representatives in Sydney. “I am pleased health stakeholders, union representatives and management were as one voice on the need to address increasing aggression and violence in our hospitals,” Mrs Skinner said. As part of the action plan, NSW Health will conduct a security audit of emergency departments which will include site visits to regional and metropolitan hospitals. A further meeting will also be sought between NSW Police and NSW Health, involving frontline hospital staff, within the next month. 1. Deliver an intensive program of multi-disciplinary training of ED staff including nursing, security and medical staff in managing disturbed and aggressive behaviour and ensure each member of the multi-disciplinary team is clear about their respective roles. • Orange (noting co-location with Bloomfield) . The audit will cover compliance with policy and mandatory training requirements, adequacy of ED design in managing aggressive patients, adequacy of security staff numbers, hospital liaison with local police on incident response to acts of physical aggression in EDs, and handover by police of physically aggressive individuals requiring treatment. The audit will recommend any strengthening of policies and procedures needed for EDs, in particular to adequately respond to behaviours of individuals, affected by alcohol or drugs, including psycho stimulants such as “ice”, presenting at EDs. 4. Establish a working group to recommend strategies to increase the professionalisation of NSW Health security staff and how best to integrate their roles in a multidisciplinary response to patient aggression. 5. Partner with TAFE to train existing security staff in a security course purpose designed for the health environment. 6. Sponsor the recruitment of a new intake of trainees to qualify as security staff through the health specific course and recruit and train further staff following consideration of the results of the security audit. 7. Establish a Reference Group of expert clinicians to develop specific patient management and treatment pathways, including disposition and transport options, for patients presenting to EDs under the influence of psycho-stimulants such as “ice”, both for immediate management and longer term referral and treatment. 8. Immediately examine availability of Mental Health and Drug & Alcohol resources including the use of telehealth options for rural and regional areas for patients presenting to EDs under the influence of psycho-stimulants such as “ice”, both for immediate management and longer term referral and treatment. 3 9. Work with NSW Police to ensure arrangements adequately and consistently cover liaison, firearms safety, handover and incident response involving aggressive individuals presenting at public hospitals including pursuing prosecution of offenders. • under the direction of health professionals, who require assistance in order to render lawful medical treatment or care of patient. 11. Identify the circumstances in which security staff are able to exercise power to remove from public hospital premises individuals who are not patients and who are acting aggressively or who are otherwise causing disruption. 12. Improve incident management reporting systems to ensure they are user friendly, well utilised and provide transparent management and feedback loops to staff making the reports. The above is reprinted from materials provided by University of Notre Dame. Inland waters comprise about 0.01 percent of Earth's water. The discovery of the world's oldest storage of fermented fish in southern Sweden could rewrite the Nordic prehistory with findings indicating a far more complex society than previously thought. The unique discovery by osteologist Adam Boethius from Lund University was made when excavating a 9,200 year-old settlement at what was once a lake in Blekinge, Sweden. "These findings indicate a different time line, with Nordic foragers settling much earlier and starting to take advantage of the lakes and sea to harvest and process fish. From a global perspective, the development in the Nordic region could correspond to that of the Middle East at the time," says Adam Boethius. "The discovery is unique as a find like this has never been made before. That is partly because fish bones are so fragile and disappear more easily than, for example, bones of land animals. In this case, the conditions were quite favourable, which helped preserve the remains," says Adam Boethius. The fermentation process is also quite complex in itself. Because people did not have access to salt or the ability to make ceramic containers, they acidified the fish using, for example, pine bark and seal fat, and then wrapped the entire content in seal and wild boar skins and buried it in a pit covered with muddy soil. This type of fermentation requires a cold climate. Termites might be known for their destructive powers, but it turns out they have innate restraint and an understanding of engineering that would make a master builder weep. UNSW researchers have discovered that the termite, Coptotermes acinaciformis, is able to distinguish load-bearing from non-load-bearing wood. According to Dr Sebastian Oberst and Professor Joseph Lai from the School of Engineering & Information Technology at UNSW Canberra, Coptotermes, the ‘tree-piping’ termite, will first gnaw through areas that don’t support weight before moving on to load-bearing timbers. They usually eat the wood that is not load bearing first, such as door and window frames and floorboards behind cupboards and attack the strong load-bearing timbers such as joists and bearers later. The UNSW team and colleague Associate Professor Theo Evans from the University of Western Australia also found the canny insect will buttress weight-bearing walls with clay to ensure it doesn’t collapse as they feast. “The ability to determine weight bearing in wood explains some of the patterns of termite attack in houses,” says Oberst. The clay walls are built progressively so if the termites are disturbed and forced to abandon the wood they haven’t expended more energy than is strictly necessary. It allows termites to access wood that would otherwise be off-limits, offering 700 times more energy than they expend in erecting the scaffold. 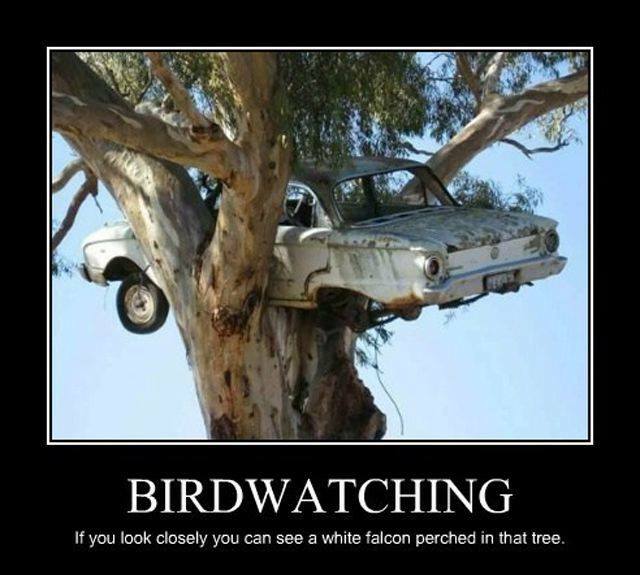 It is thought to represent an evolutionary leap from foraging to nest building. The ability to detect load bearing is likely to have evolved in response to the scarcity of readily accessible wood for Coptotermes, a ground-dwelling mainland Australian species that builds mound nests and eats eucalypts. “The problem for ground-living termites is most wood is not available to eat because it is in tree trunks that support the huge weight of the tree,” Oberst says. Once a load is detected, the termite switches from feeding mode to transporting clay, and continues to periodically sample the wood until enough clay has been added to disperse the load before continuing to eat, the researchers say. Though not proven, they believe the load bearing is detected via their acoustic or vibration senses rather than physical or chemical methods. The research, published in Scientific Reports, was supported by an Australian Research Council Discovery Project Grant. An ARC-funded study will explore pivotal aviation developments between the years 1938 and 1968. The pilots escaped after this biplane crash in Western Australia in 1929. Image: Charles Daniel Pratt/State Library of Victoria. On a cloudy morning in October 1938, the Kyeema smashed into the western slopes of Mount Dandenong, killing 14 passengers and all four crew on board. Prominent South Australian vintners and a federal politician were among those to lose their lives on the Australian National Airways DC-2 aircraft. A Royal Commission into the Kyeema crash later revealed navigational radio beacons had been installed but left inactive at nearby Essendon Airport. They could likely have averted the disaster. The government — still stunned by the loss of a young MP in the disaster — was forced into action and major technical and operational reforms soon followed. Now a new University of Sydney research study will explore the legacy of Kyeema and other pivotal aviation developments that eventually led to Australia’s remarkable modern-day flight safety record. Dr Peter Hobbins (MMedHum '09 PhD (Research) '14) will spend the next three years researching Australian aviation technology and air safety between 1938 and 1968, the latter being the last time Australia experienced a major fatal aviation disaster. “It's worth being clear that Australia is intrinsically one of the safest places in the world to fly. Despite long distances, we live on a largely flat continent, which minimises the risk posed by mountains, while we are not especially prone to extreme weather events, such as hurricanes or blizzards,” said Dr Hobbins, from the Department of History. While Kyeema is seen as a watershed moment, several air disasters between the 1930s and 1960s would result in industry-changing improvements. Dr Hobbins points to the 1940 crash of a Royal Australian Air Force Lockheed Hudson bomber near Canberra, that killed its crew of four, along with two senior military officers, the chief of the general staff and three cabinet ministers — one of whom was the Minister for Civil Aviation. And then there was the unexplained loss of a Trans-Australia Airways airliner near Mackay in 1960. The crash claimed 29 lives and is one of Australia's worst civil air disasters. But it led to the mandatory installation of cockpit voice recorders on all commercial airliners, making Australia the first country to impose this rule. By casting an historian’s eye over a key era in Australian aviation safety, Dr Hobbins hopes his research will tease out the beginnings of public trust in flying. “One of the most absorbing, but also the most vexing, aspects of aircraft crashes is that they are rarely caused by a single item or event,” he said. Dr Hobbins was the 2014 recipient of the Rita and John Cornforth Medal for PhD Achievement. Today we announced $4 million each for the Little Scientists andLet’s Count training programs to inspire Australia’s next Howard Florey or Elizabeth Blackburn. The nature of work is changing. Around 75 per cent of the fastest growing industries require skills in science, technology, engineering and maths (STEM). The Turnbull Government is committed to helping Australia’s youngest minds develop an interest in these critical fields. From seeing how to purify water to exploring and talking about numbers, these initiatives will give children access to fun and engaging ways to learn. The NSW Government has officially launched its social housing fund, which in its first phase will deliver an additional 3,000 social and affordable homes and slash waiting lists for vulnerable families. Premier Mike Baird called for expressions of interest from non-government organisations, landholders and the private sector to tap into the new fund and deliver better outcomes for the State’s most vulnerable. “We made an election commitment to deliver more social housing stock and we’re making good on that promise,” Mr Baird said. At present, social housing developments face a funding gap between the rental stream they receive from tenants plus government subsidies, and the revenue required to sustain a commercially viable project. The Social and Affordable Housing Fund (SAHF) will provide a long-term revenue stream to plug this gap and encourage private and non-government organisations to team up to develop housing projects. The SAHF will be set up with $1.1 billion in seed capital from the Government and will provide much needed investment certainty to the sector. The Government’s investment arm, TCorp, will invest the $1.1 billion and the returns will go towards social and affordable housing projects in the form of a stable 25-year income stream. • Achieving economic independence for tenants. This outcomes-focused model has been developed in consultation with the NSW Council of Social Service (NCOSS) and Infrastructure Partnerships Australia (IPA) following a memorandum of understanding signed in March 2015. Treasurer Gladys Berejiklian said the SAHF was the latest example of the Government’s innovative approach to delivering better outcomes and infrastructure for the people of NSW. “We want innovative, value for money, service-driven outcomes that are going to help those people who need it most,” Ms Berejiklian said. Minister for Social Housing, Brad Hazzard, said the fund will complement the recently announced Future Directions for Social Housing in NSW strategy. “The fund will deliver on the NSW Government’s commitment to protect our most vulnerable and to provide a safer and stronger community,” Mr Hazzard said. NCOSS chief executive Tracy Howe said that the fund is a step towards ensuring everyone in NSW has a place to call home. “Secure, affordable housing that is connected to transport and jobs, to education and support services is a crucial piece of the puzzle for reducing poverty and disadvantage in this state,” Ms Howe said. Brendan Lyon, CEO of IPA, said these projects will be life-changing for families. “The SAHF will see thousands of people get stable housing and tailored support services, but it also begins to trial new ways to solve the public housing backlog,” Mr Lyon said. Cypriot art and design was influenced for thousands of years by surrounding Mediterranean cultures and made all the more unique because of them. Cyprus was the first Mediterranean country where Australian archaeologists conducted excavations. Their first dig began in 1937 and University of Sydney archaeologists continue the tradition today at the ancient capital of Nea Paphos. The influences on Cypriot art are myriad. In the 10,000 years since people started living on the Mediterranean’s easternmost island it been occupied or ruled by the Egyptians, the Phoenicians, the Assyrian and Persian Empires, the Ptolemies, and the Roman and Byzantine Empires. In more recent centuries the Crusaders, the Franks, the Venetians and the Ottoman and British Empires controlled the nation. “Each left their mark on the island archaeologically and artistically, helping the Cypriots develop their own material cultural identity,” says exhibition curator, Nea Paphos archaeologist and Sydney University Museums Manager of Education and Public Programs Dr Craig Barker. Birds are a common motif. Cyprus lies on a major bird migratory route between Africa and Europe; more than 200 species of bird migrating over the island annually and there are more than 370 local species. Their prevalence was an inspiration to the Cypriots. Unsurprisingly for an island state, the sea was a lifeline for Cyprus and also a major influence on its art. Located on international maritime trade networks, its harbours became major trading emporia. During the Late Bronze Age (c. 1650-1050 BC), Mycenaean pottery from mainland Greece and local imitations became commonplace. In later periods imported Athenian black and red figured pottery and other Greek vases reflected a growing connection with the Hellenic world. Then, during the Crusades, Cypriots showed a flair for making lead-glazed sgraffito pottery. Where: Nicholson Museum, Manning Road, southern end of the Quadrangle, University of Sydney. By taking the dominant language and making it work for you, you create a form of resistance, says Professor Bill Ashcroft. It's a quarter century since Bill Ashcroft published The Empire Writes Back, a wryly named text that launched the field of postcolonial literary studies. But in an era of refugees, race tensions and cultural conflict, the work is as relevant as ever. Published in 1989, the landmark book was the first to systematically examine writings in English by colonised people, and the ways in which these writers had re-appropriated the colonising tongue as a form of resistance. “By taking the dominant language and making it work for you, you create a form of resistance that becomes transformative; you transform that language to be your tool,” explains Professor Ashcroft from UNSW’s School of the Arts and Media. Before he published Empire (in collaboration with fellow academics Gareth Griffiths and Helen Tiffin) the study of postcolonial writers was fragmented across diverse schools of thought including Commonwealth literature and colonial discourse theory. It allows us to see the ways in which people are still being colonised, not just territorially but economically and culturally. Today it is one of literary studies’ most popular fields in its own right. Now Ashcroft’s achievements have been officially recognised with his election as a fellow of the Australian Academy of the Humanities. Fellowship of the Academy is the highest honour for achievement in the humanities in Australia, and Ashcroft – an Australian Research Council fellow – says he’s humbled. Postcolonial literary studies still has much to offer, Ashcroft believes. “In a sense it covers everything, the literature brings out issues such as race, oppression, justice, invasion, cultural clash – all subjects that are relevant today,“ he says. Beyond a mere study of literature, Ashcroft says his field also provides the tools to understand how individuals – the ‘local’ – can act on the global, and not just the other way around. This analysis is important in globalisation studies and is key to understanding mass movements of people, including the current refugee crisis in Europe. “There has never been a more relevant time to think about the mobility of peoples: the world is more mobile than it’s ever been in terms of migration, asylum-seekers and refugees,” he says. Professor Ashcroft is author or co-author of 16 books, more than 150 chapters or papers and is on the editorial board of 10 international journals.